Have you imagined yourself devouring authentic Italian delights in a romantic setting and splendid overlooking view of the whole city? 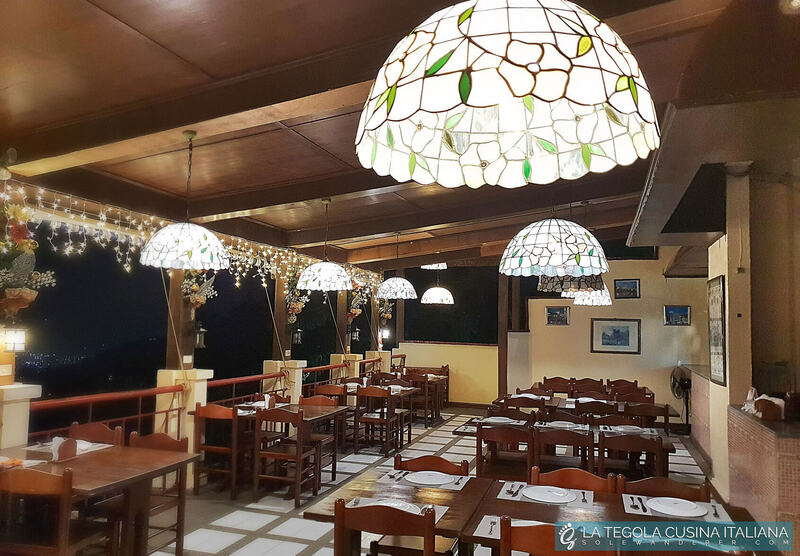 This is exactly what La Tegola Cucina Italiana in a mountainous area of Busay Cebu is offering. 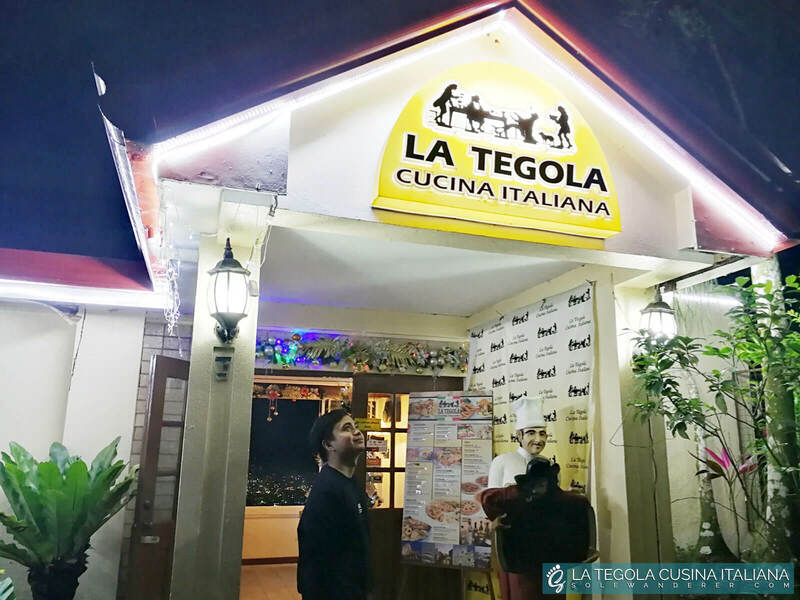 On a Friday night, we drove to a steep road of Lahug, Cebu to try this Italian restaurant for the first time. 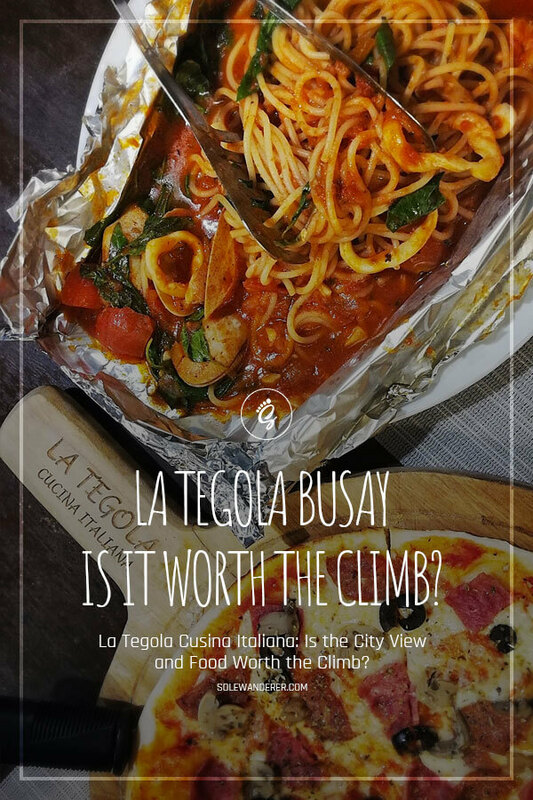 Considering the difficulty and the time of travel to this resto from the city, the question we had as first-timers was, “Was it worth the climb?”. Peel through the section to find out! Once you arrived in the place, you’ll be greeted by a signature La Tegola sculpture of a chef at the entrance. There are actually two floors where you can dine in. The first floor is where the main entrance and the reception are located, together with a few dining stands. The second one is in the lower ground, where the kitchen and their full bar are exquisitely situated. We dined at the lower floor as it obviously has a great atmosphere and panoramic view of the city compared to the latter. The classic woody fittings and lightings reminded us of 21st-century houses of our grandparents. We found ourselves mesmerised by the idyllic setting of the restaurant. We seated ourselves around the table at the edge of the balcony and enjoyed the mountain breeze. 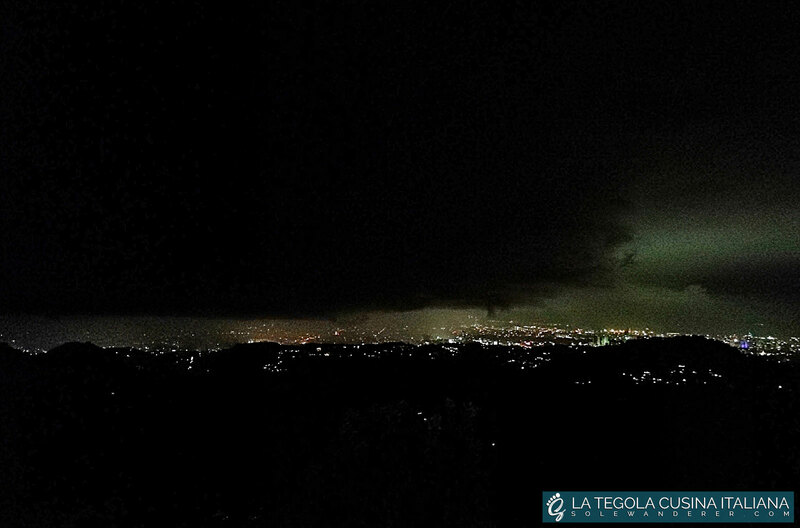 We noticed a sudden darkening of clouds from the city view which slowly covered the whole city and rapidly moving closer to our spot. It was really scary! It’s like a scene from a science fiction movie. The scene was then followed by a fog entering the balcony and pouring rain — quite magical! Luckily, we were finished eating when we witnessed the whole phenomena. Lower ground where the kitchen and full bar is located. Dark clouds slowly covering the whole city. Fog entering the balcony and the rain pours thereafter. 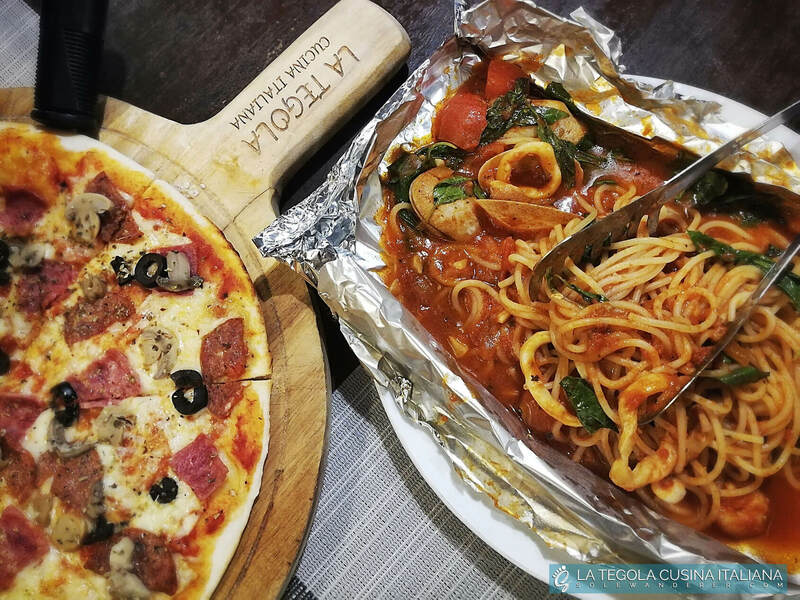 From the name itself, La Tegola Cucina Italiana menu offers nothing but the authentic Italian cuisines which one seldom find in Cebu. One can select from their wide variety of mouth-watering starters, pasta, pizzas, and seafood dishes. 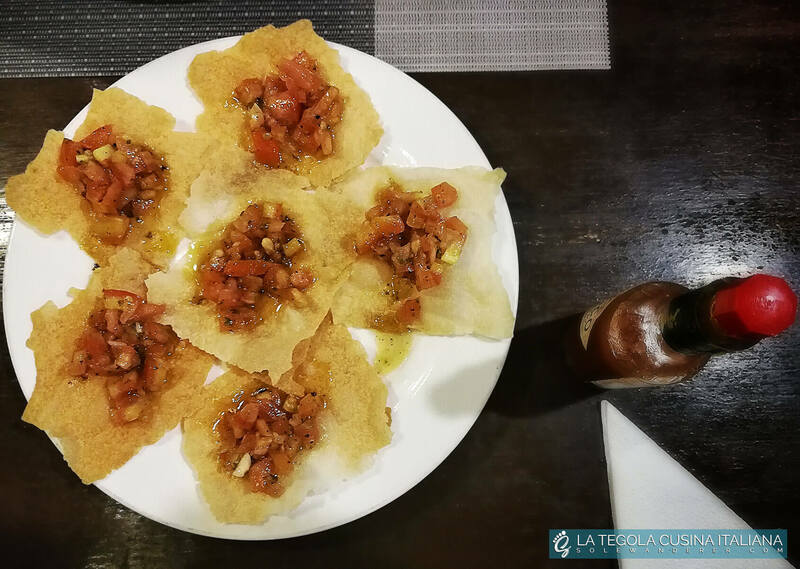 After we placed our order, we were given free antipasto — nacho chips topped with fresh tomatoes and a drizzle of olive oil. It tastes great, we love it! 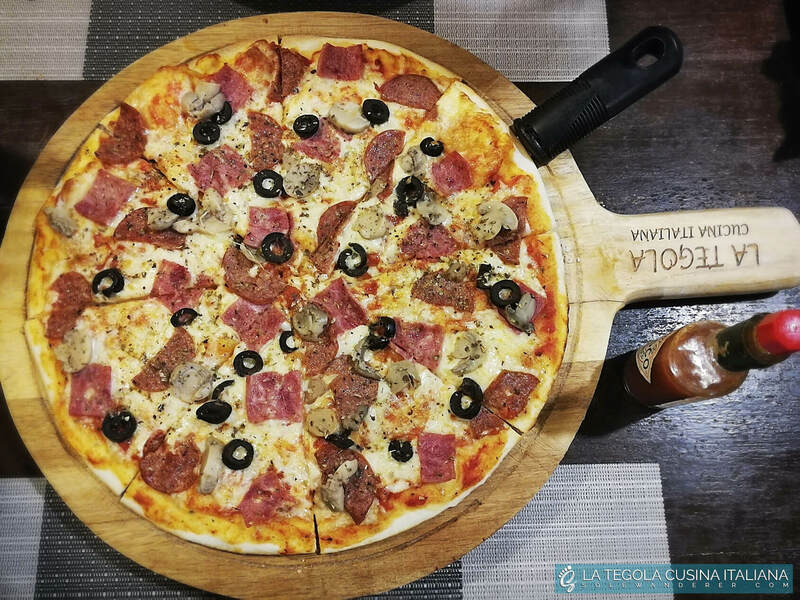 For our main dishes, we had a Pizza Quattro Stagioni, a four seasons pizza stuffed with tomato, cooked ham, salami, mozzarella, olives, mushrooms & herbs. 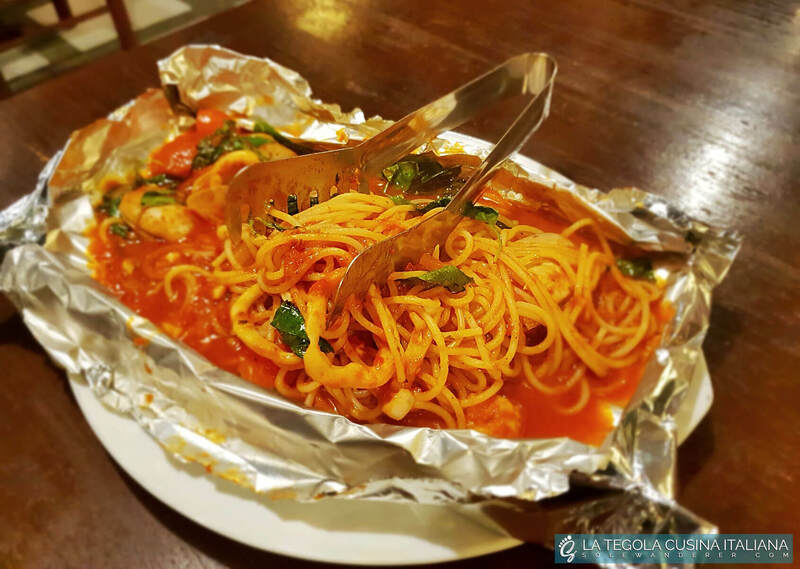 And a Spaghetti Cartoccio, a spaghetti pasta sauteed with assorted kinds of seafood, tomato sauce, and olive oil wrapped in aluminum foil. Both dishes are just nice. 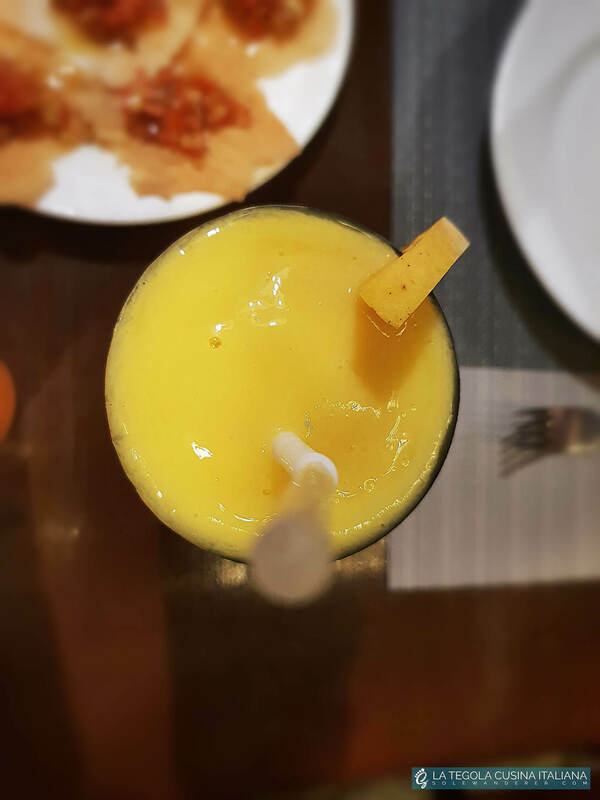 We had fresh juice and mango shake for our drinks. 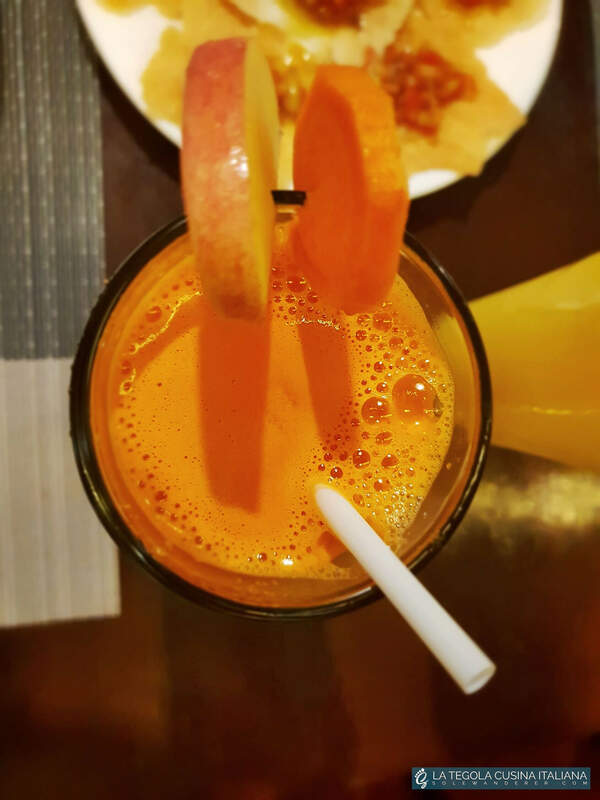 Actually, we didn’t expect that they will serve fresh juices with no ice— that’s too generous. Their mango shake was superb! It’s obvious that they are choosing the finest ingredients, all the dishes as well as the juices. But for us, the Spaghetti Cartoccio’s ingredients are uncertain. As it was maybe pre-cooked, froze and just heated up in the oven if someone orders. 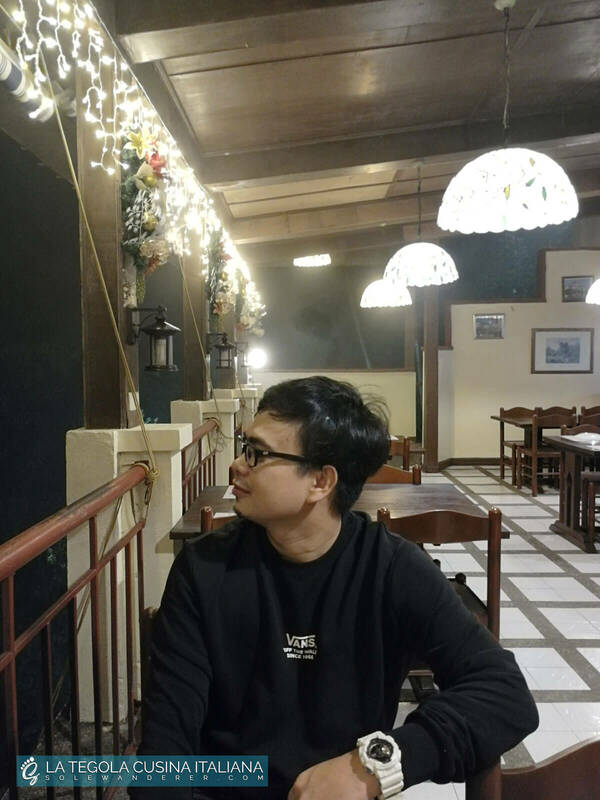 Though the pricing is not cheap, the ambiance, food quality, and the service compliment the whole dining experience, thus, for us, it’s reasonable. We’d like to mention that when we dined, we were the only customers throughout our dining experience. So, we were wondering how was this restaurant doing for the past weeks or months? Though when we arrived, a couple had just left the restaurant, so we knew it wasn’t just us for that night. The service was just real fine. We were treated special, though the waiters weren’t in the area when we started eating. From JY Square Mall it usually takes 20 to 25 minutes to reach to La Tegola restaurant. May it be by means of public or private transport or habal–habal. And sufficient parking spaces are available if you wish to bring your own transport. Just a friendly reminder, Busay is quite dangerous during the rainy season. Aside from the danger when driving on its steep road, multiple landslides were also reported for the past months as of this writing. We advise you to check the weather first before deciding to go. 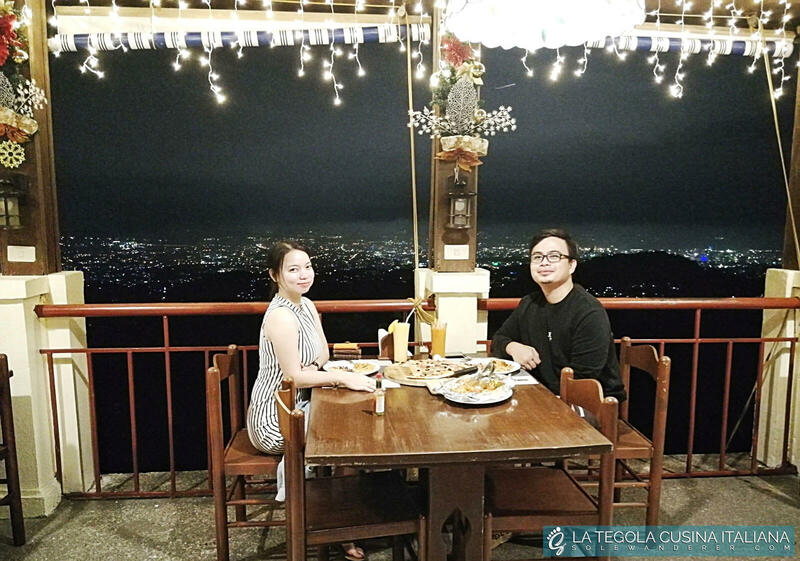 Despite the menacing travel from and to the restaurant, we had a pleasant dining experience with the splendid panoramic view of the city and the exquisite food flavors itself. 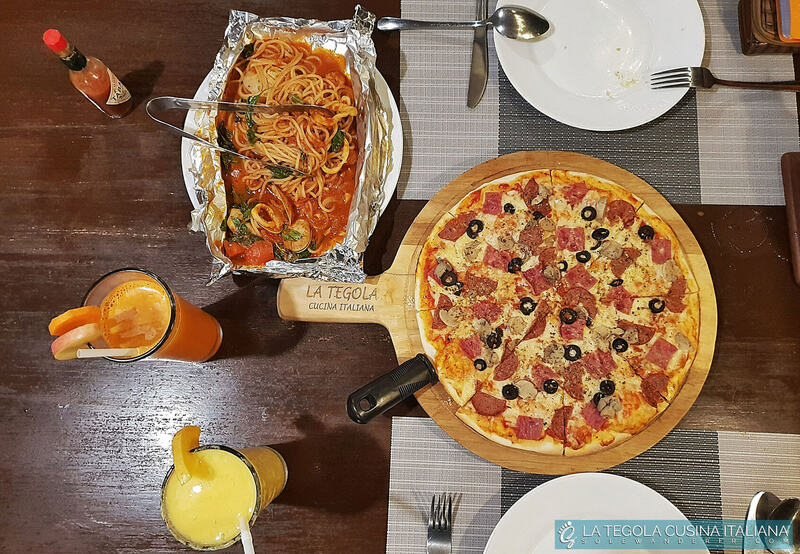 For this Christmas season, we highly recommend La Tegola Cucina Italiana to everyone. It is definitely worth the climb! 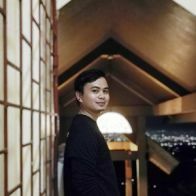 Addition: You might as well try their number of branches in Cebu if you only wish to go for gastronomic adventures and not for a romantic setting that their Busay branch is offering. Other branches are in Banilad, Mactan Marina Mall and Ayala Terraces. Previous articleScape Skydeck: Luxury Restaurant & Sky Lounge Is It Worth a Try?